Blackburn with Darwen Council’s adoption service has one of the best success rates in the country for finding homes for children at special ‘activity days’, according to latest figures. The events, which are held at regular intervals throughout the year, offer potential adopters the chance to meet youngsters on the council’s adoption register in a relaxed, informal setting. And the children, who are often those with complex needs or are older in age, see it as a fun way to meet others in a similar situation. Further still, Blackburn with Darwen’s Let’s Adopt campaign, which launched earlier this year, has reported that more than a third of the children attending activity days in the past year were successfully matched with a family – beating the national average of 26 per cent. Now, the council wants to drum up support for the activity days and encourage would-be adoptive parents to find out more. The events are incredibly positive experiences. We find they’re an extremely effective way of finding homes for our harder to place children – these are children who may have complex learning needs or perhaps a physical disability. Similarly, some may find themselves thinking about adopting a child outside of the age range that they had originally considered – the majority of those coming forward to adopt want a very young child, but there’s a significant number of two to seven year olds who also need families. 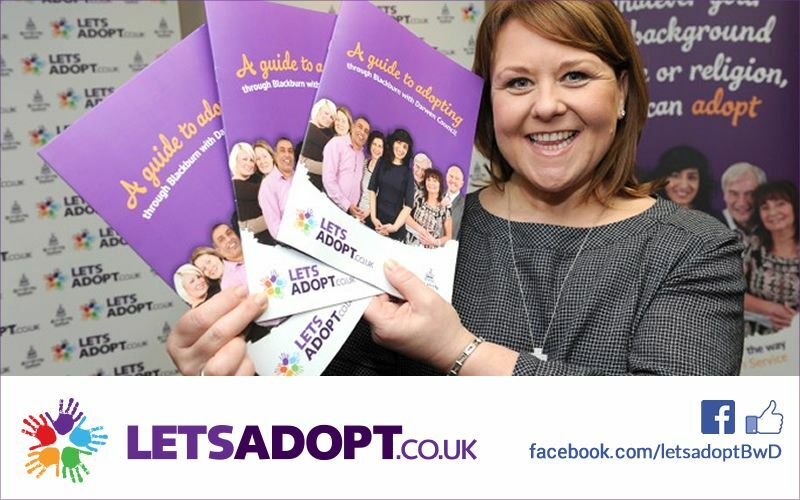 Since Let’s Adopt launched in January, 67 families have come forward to find out more about the adoption process. The campaign aims to raise much-needed awareness of the number of children who are desperate for a family, highlighting that those who are single, over 50, non-homeowners or gay can adopt. Blackburn with Darwen held its last activity day on 20 September, with 57 potential adopters turning out to meet the children. “We make sure that we give age-appropriate information to children about the events and we find that those who have a firmer grasp of what the events are about are often pleased that they’re involved in the process of finding their ‘forever family’. Blackburn with Darwen’s next activity day will take place on February 2015.